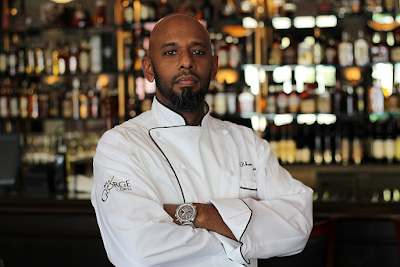 The James Beard Foundation Taste America Comes to Las Vegas with an Iron Chef In Sepetmber 2013. 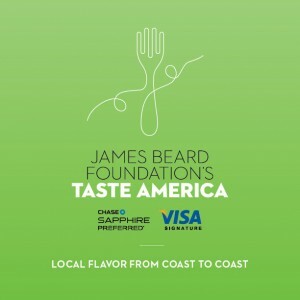 Any time the James Beard Foundation comes to town it’s a very big deal for culinary enthusiast from all walks of life. The James Beard Foundation’s Taste America®: “Local Flavor from Coast To Coast,” a national traveling food festival , is visiting including Boston, Chicago, Los Angeles, Miami, New York City, Philadelphia, Phoenix, San Francisco, and Washington D.C.The renowned foundation as partnered with with Chase Sapphire Preferred® Visa Signature® for an historical tour to US Culinary centers of excellence. . The five-weekend festival will visit 10 cities from September 20 through October 19, 2013. Of course the Culinary All-Star city of Las Vegas is a stop on the foundations tour of America’s diverse culinary offerings. 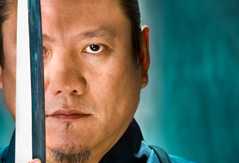 Friday Sep 27th and Saturday Sep 28th will bring the esteemed foundation to the center of the Las Vegas strip with Iron Chef Masaharu Morimoto at the helm. The historical weekend will kick-off on Friday, September 27 with a plethora of free culinary events throughout this epicurean epicenter of Las Vegas. It will culminate in an exclusive dining event at The Mirage Hotel & Casino the evening of Saturday, September 28. The evening event will feature a spectacular poolside gala co-hosted by James Beard Award winner and Taste America All-Star, Iron Chef Masaharu Morimoto and Host Chef Christian Schmidt from the Mirage Resort in Las Vegas .Guests will also enjoy works of art creations and cocktails from several of Las Vegas’ most celebrated local chefs, including James Beard Award winner Saipin Chutima (Lotus of Siam), Eric Klein (Spago), Brian Massie (The Light Group), Laurent Tourondel (BLT Burger), and many more !. Tickets for “A Taste of America” are now available for purchase at jbftasteamerica.org, and are priced at $120 per person, all-inclusive. VIP tickets are also available for $250, which include exclusive access to the official after party at 1 OAK nightclub at The Mirage immediately following the poolside reception. The James Beard Foundation is proud to donate a portion of the evening’s proceeds to The Epicurean Charitable Foundation. This full day of free consumer retail events features in-store chef appearances, cooking demonstrations, tastings from local artisans and producers and a special cooking demonstration and book signing with Taste America All-Star Masaharu Morimoto at 2pm. Yes , Las Vegas has a variety of local farmers markets at various locations throughout the weekend and this special vehicle will be there to promote healthy, sustainable practices with tastings and demos from participating chefs. Iron Chef Masaharu Morimoto and Host Chef Christian Schmidt, will be poolside for an evening will include a tasting reception featuring mouthwatering dishes and cocktails from several of Las Vegas’ finest restaurants at The Mirage’s award-winning pool. Immediately following the reception, the VIP ticket holders will have access to an exclusive after party at 1 OAK nightclub. When the James Beard Foundation comes to town, it is an event not to be missed. No matter where you live in the United States, the JBF Taste America will not be too far way. For more information, visit jbftasteamerica.org. See you there! 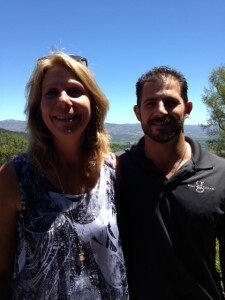 A review and Visit with Garrett Ahnfeldt, G Wine Cellars , Napa Valley . Anyone who knows anything about wines has heard of Napa Valley. This fertile bastion of world renown wines not far from the famed city by the bay San Francisco beckons oenophiles on a pilgrimage to find some of the best palate pleasing wines in the country if not the world. 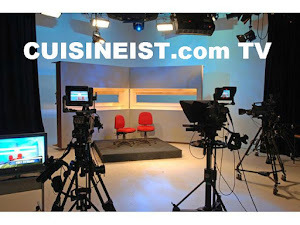 There are plenty of big names in the area as we are well aware. It is also very desirable to find that small production, high quality wine when on the hunt in any wine region in the world and Napa is no exception. It was suggested that we pay a visit to G Wine Cellars so off we went in search of this new Holy Grail in a barrel. Giving our limo driver basic instructions from what we were told, our day began with excitement and anticipation of a new find. Driving by familiar vineyards and the typical picturesque rolling hills of wine country we settled in with a nice glass of bubbles and reflected on this historical region of legendary wines and winemakers, their names passing through our window like a history book and a quick reminder of the infamous Judgment of Paris that changed this sleepy, small town forever. Our minds were quickly brought into the present when our driver pulled off the highway and started down a small very narrow tree lined road. We arrived at the address given and came to a stop in front of a large gate. We all came to the conclusion that we must have taken a wrong turn somewhere. Now we had a bigger problem, the limo was too long to turn around and backing back down the road would be quite an adventure. We were back in the limo contemplating our next move when a large white truck appeared on the road behind us. As the truck moved closer, we noticed a hand motioning us to move forward, the gate opened and we proceeded through with the mysterious white truck close behind. Who is this knight on the great white stallion, we asked? Maybe he could direct us to where we are supposed to be as our appointment time loomed. The young man in the white truck was none other than Garrett Ahnfeldt, winemaker of G Wine Cellars and we were at his house. With huge smiles all around, Garrett welcomed us into his large, beautiful home overlooking some of his vineyards. Garrett wasted no time in getting us started with 2009 "G Licious" White Wine. This lovely blend of 95% Sauvignon Blanc and 5% Semillion was perfect for a warm afternoon in Napa. We took our seats poolside on Garrett’s patio and began to learn about him and his wines. Garrett explained he is born and raised in Napa Valley. Already at 7 years old he was driving tractors and his love for farming. His family moved to Napa Valley in 1985, where his parents started out as growers, selling grapes to prestigious Napa wineries for many years before they started making their own wines. Ahnfeldt Wine’s first vintage was in 2002. Very soon afterward they received 94 points and awarded Merlot of the Year for their first vintage. Garrett was only about twenty two and in college when his lifelong passion convinced him to move back to Napa and help with the thriving family business. Only 4 years later, Garrett and G Wine Cellars came to fruition. Like most great winemakers, Garrett believes that great wine is made in the vineyard and added that G Wine currently bottles fifteen hundred cases of Bordeaux style wine annually. G Wine only produces about 100 cases of Grenache. This lovely Grenache has some spice on it but does not overwhelm the delicate fruit notes that the varietal is known for. This Grenache is harvested from 90-year-old vines in the nearby Eldorado Hills. With the age of the vines being so old, the fruit yields are low, thus creating a condensed wine that has explosive fruit flavors. We are always on the lookout for a nice Cabernet Franc and we found one right here. The G Wine Cellars Single Barrel Cabernet Franc 2009 was pure pleasure in a glass. It is also very special as it is made exclusively for their premium wine club. The bottles are hand numbered and production never exceeds 576 bottles. Yes, that’s bottles, not cases. Of course, being in Napa you have to have a Cabernet. G Wines Cellars Mountains Reserve Cabernet Sauvignon 2010 rates right up there with the best of them. Sourced from the Mayacamas Mountains, this Cabernet is from one of the finest Cabernet areas in the country and it shows in the glass. Big bodied, dark red to purple in the glass, this wine got us excited for what was on the nose. Huge black fruit aromas jump out of the glass with cassis, smoke and leather notes on the end. On the palate, blackberry is prominent with spice, earth, smoke and long elegant tannins on the finish. Aged in 75% new and 25% one-year-old French oak for at least 24 months, The Mountains Reserve is a big, delicious wine that you can drink now or age at least 10-15 years. G Wines Cellars has a new addition to their lineup of all-star, high quality wines. Garrett introduced us to his 2010 Seventh Letter Red Wine, a blend of Cabernet Sauvignon, Petit Verdot, Zinfandel and Syrah. The Cabernet and Petite Verdot vineyards can be found in the eastern hills of the Coombsville appellation, the Zinfandel and Syrah grapes are from two vineyards on the other side of the Vaca Mountain range in the Suisun Valley. This is a big boisterous wine with these classic varietals coming together to create a symphony of rich flavors that is guaranteed to please. Garrett, a very talented, young winemaker has also created other standout wines like 2008 Single Barrel Petite Syrah, a tasty 2008 Single Barrel Malbec and a mouthwatering 2007 Mt. Veeder Cabernet Sauvignon just to name a few more. The afternoon on the patio enjoying world class wines with Garrett was drawing to a close as the sun started to set closer to the mountains. We departed, knowing we had just found a true treasure in a young, rising star winemaker as well some very special creations from his vineyards that are must taste,if you can find them. Our advice, don’t miss out! Join the wine club!